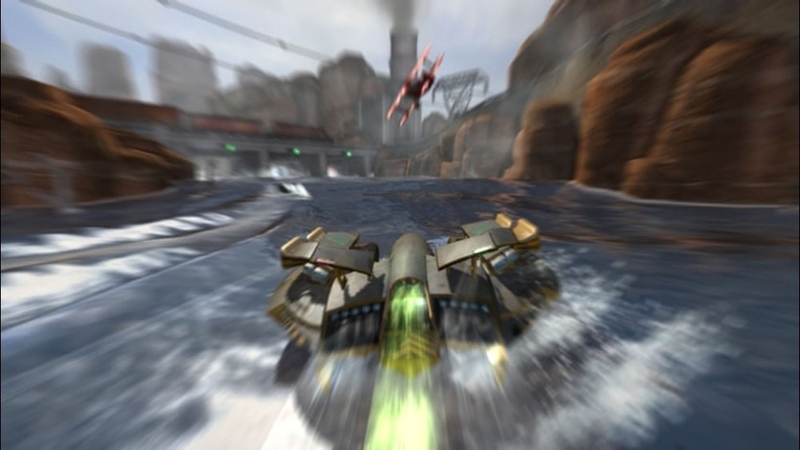 This free version of the Tempest Pack allows you connect to Xbox LIVE games hosted by players who have purchased the full version. 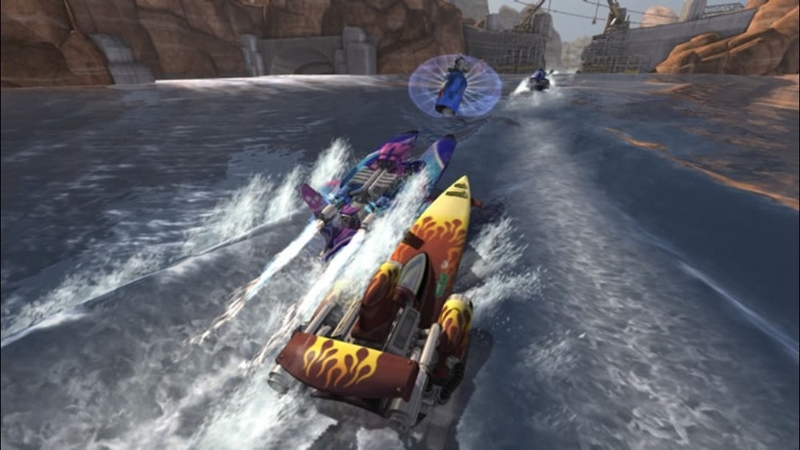 The Tempest Pack features all-new tracks, boats, challenges and achievements! Catch huge air off hurricane-force waves in the heart of the Bermuda Triangle. 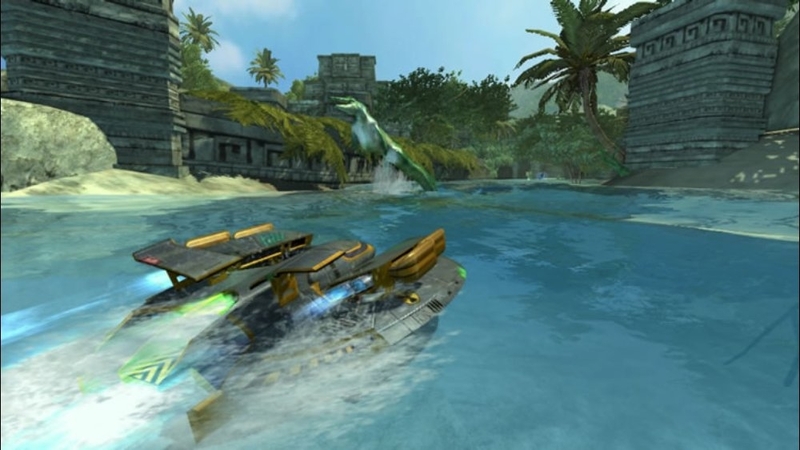 Blast through the lost city of Atlantis as it shakes with volcanic eruptions. Dodge exploding barrels and cannon-fire in the explosive Castle Von Boom. 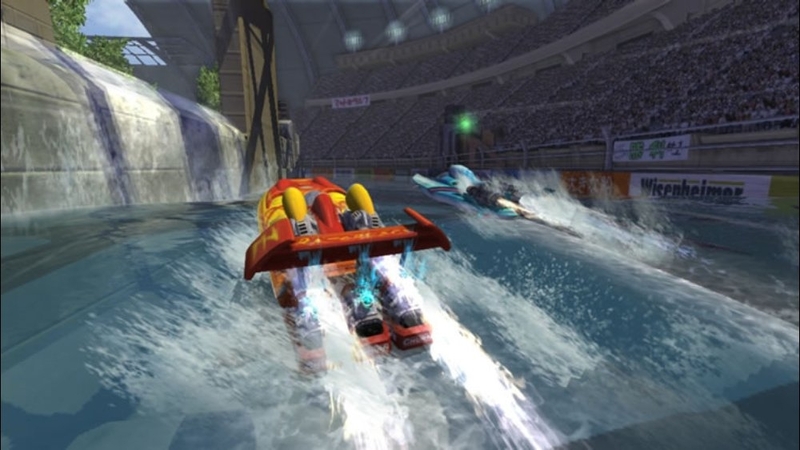 Take to the Leaderboards in two new super-fast Expert boats: the futuristic Whiplash and the slip-slidey Psyclone. Trick out new and existing boats with extra skins, including the winners of Vector Unit's Design-A-Skin Contest. Prove your mettle in all new Races, Gauntlet and Ring Master events. 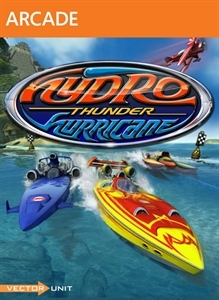 Fire up your boost rockets and shred the stormy waters of the Hydro Thunder Hurricane Tempest Pack, with all-new tracks, boats, challenges and achievements! Catch huge air off hurricane-force waves in the heart of the Bermuda Triangle. 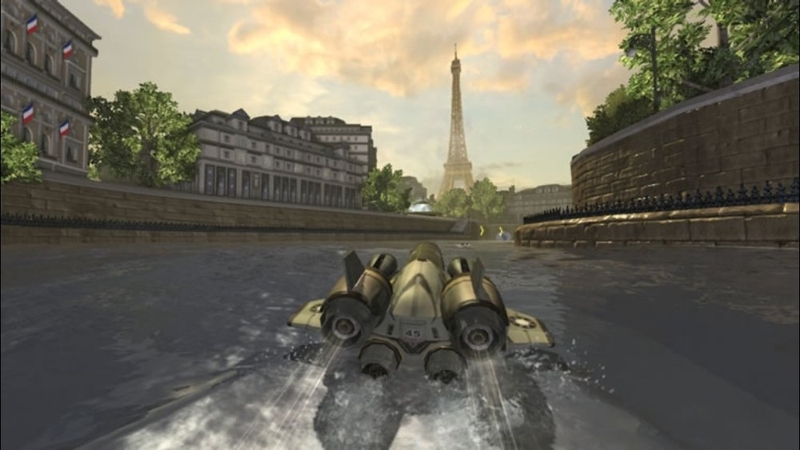 Blast through the lost city of Atlantis as it shakes with volcanic eruptions. Dodge exploding barrels and cannon-fire in the explosive Castle Von Boom. 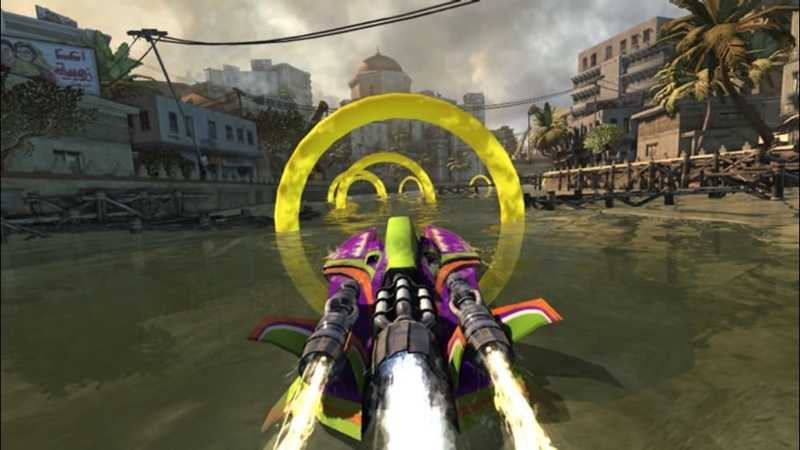 Take to the Leaderboards in two new super-fast Expert boats: the futuristic Whiplash and the slip-slidey Psyclone. Trick out new and existing boats with extra skins, including the winners of Vector Unit's Design-A-Skin Contest. Prove your mettle in all new Races, Gauntlet and Ring Master events. 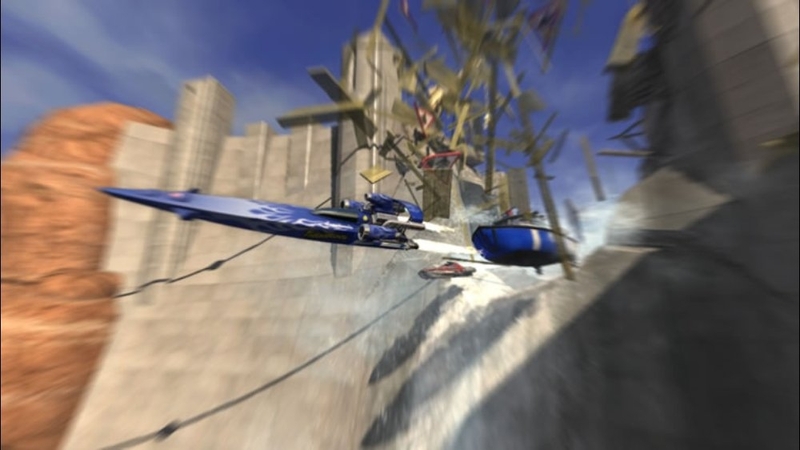 Experience supersonic speedboat racing in this all-new, full-featured sequel to the legendary arcade hit. 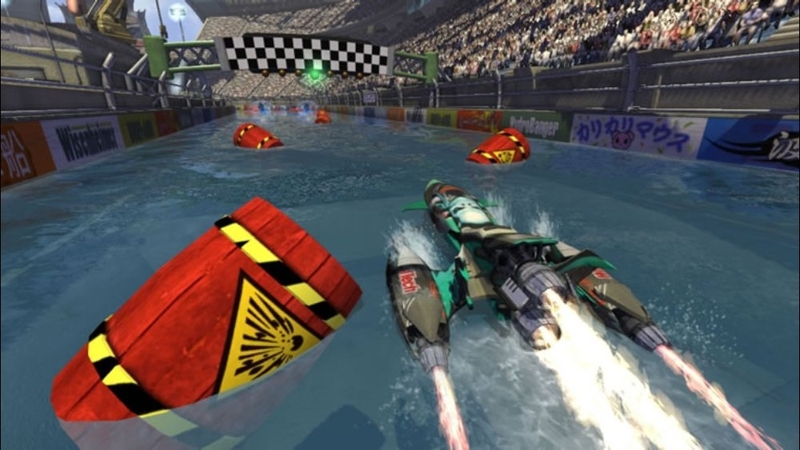 With amazing dynamic water, transformable boats, gorgeous visuals and over-the-top interactive environments, it's a full throttle wave-jumping thrill ride. Includes brand new single player game modes and exciting split screen multiplayer in combination with 8 player games on Xbox LIVE.